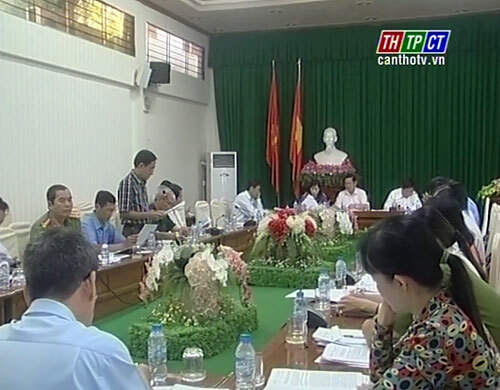 In preparation for the 2nd session of the 9th Cần Thơ City’s People’s Council for 2016-2021 term, in the morning of July 8th, the legislative board had a working session to verify reports on legislative operation, administrative renovation, corruption control. 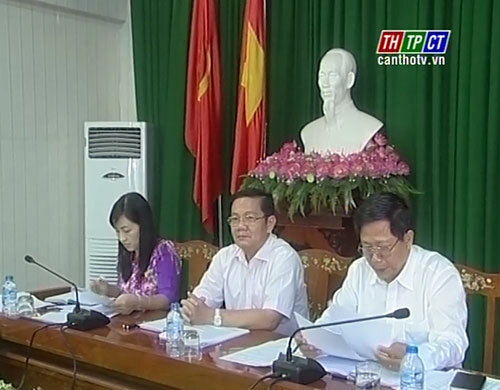 Vice Chairman of the City People’s Council, Nguyễn Thành Đông and leaders of relevant offices came for attendance. In the past 6 months, legislative operation has showed active changes and gained outstanding results. The inspectorate has carried out over 90 inspections, a rise of 20 against the same period. Corruption, wastage control and thrift practice have saved over 381 billion. Provincial competitiveness index (PCI) ranked 14 out of 63 provinces, cities, 1 level higher than that in 2014, PAPI index in 2015 ranked 2nd out of 63 provinces, cities. Defense, security, social safety-order were ensured, traffic accidents were restricted. However, fire-explosion were still complicated with 9 cases in the past 6 months, 3 cases higher than that in the same period, damaging VND 3.9 billion. Delegates discussed to clarify some drawbacks and suggested the city people’s committee timely update data to be reported to competent sectors while directing authorized offices to devise active solutions for carrying out tasks in the last 6 months of the year./.